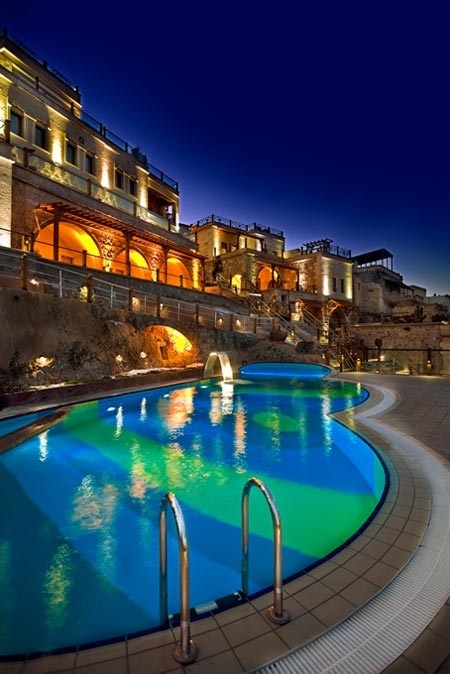 Cappadocia Cave Resort ensures a delightful experience in wonderful surroundings. The breathtaking lunar landscape of Cappadocia ravishes any visitors and the Resort offers high quality services and luxurious accommodation in a prestigious setting. A real paradise awaits guests who look for a complete change of scenery. Cappadocia Cave resort provides a conference centre. This is the ideal place for reunions, meetings and parties combining business with pleasure.